The thing is, this particular costume design looks generic enough to pass-off as a comic book inspired version of the character. 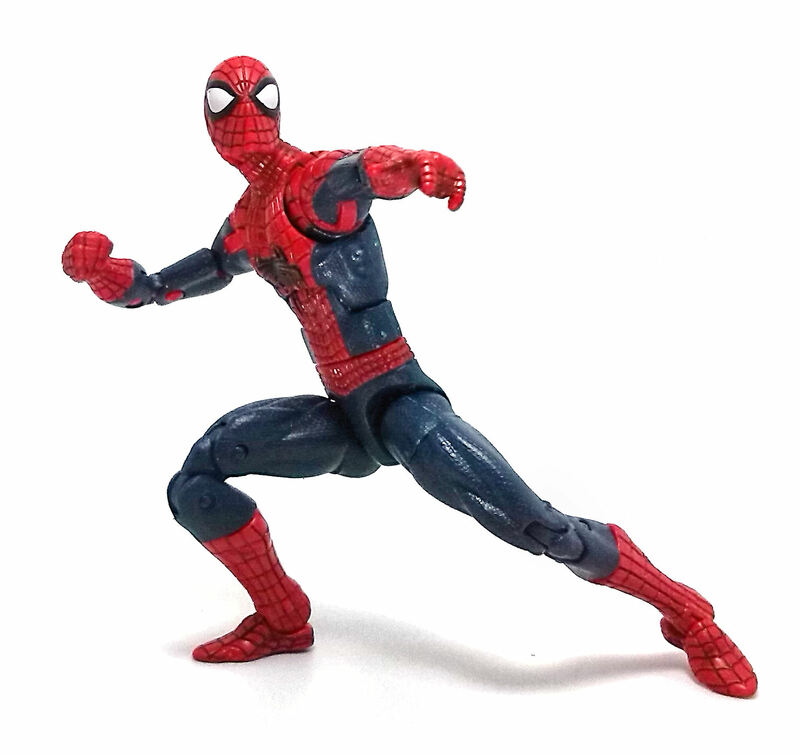 The blue sections of the suit still show the sculpted textures usually associated to the costumes used in the Sam Raimi-directed movies, but the red parts of the costume are smooth, with the web lines etched into the plastic. 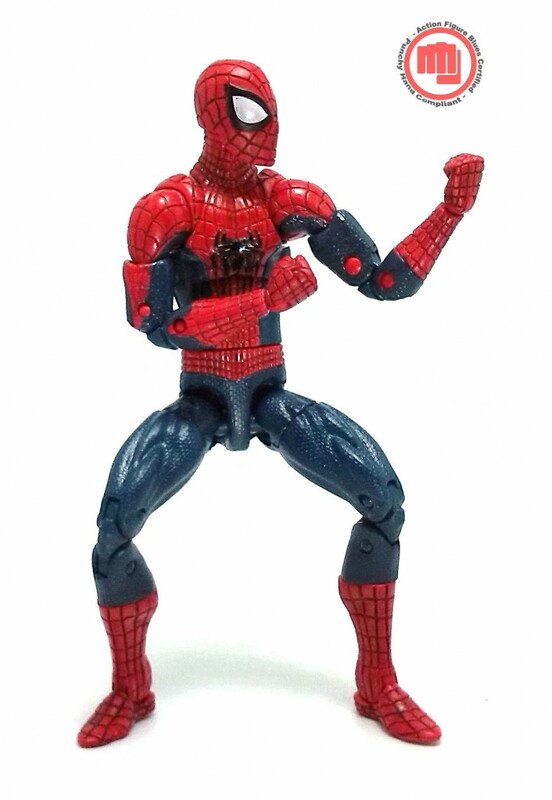 This all means that this Amazing Spider-Man figure sports a completely new sculpture, one where the body proportions are slimmer than the comic-inspired figures of the character but nowhere near as gangly as the previous amazing Spider-Man movie version. All the joints feel firm enough to hold the figure in any pose and generally speaking, they blend in with the character design pretty well, although the articulation on the upper torso/shoulder area can sometimes break the illusion of having a 6-in. Spider-Man on the table. 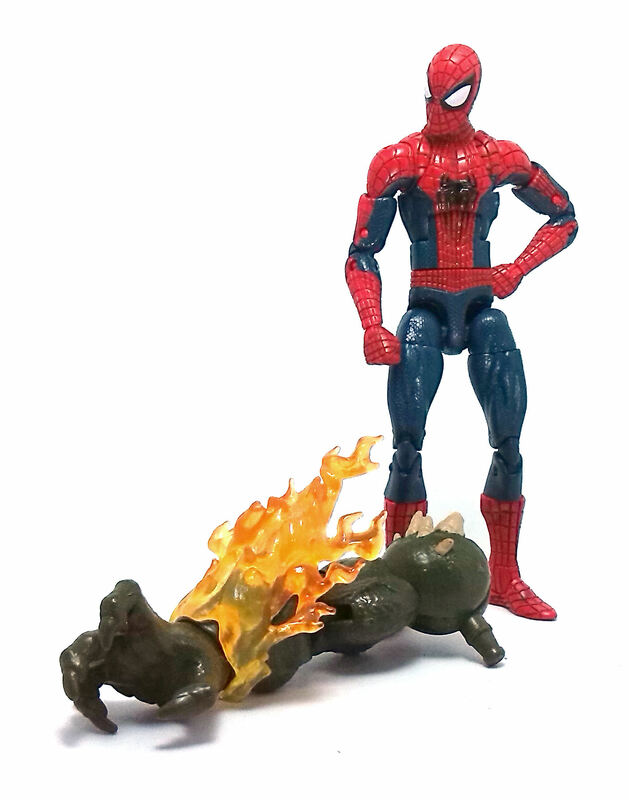 The Amazing Spider-Man figure is molded in red and blue plastics, with very little color overlap on the costume, although on those rare instances where one color spills onto a contrary colored area, the paint used matches the needed hue perfectly. The blue parts were left pretty much as they are, but on the red sections a slight shading wash was applied to enhance the etched web lines. The eyes of the figure were painted with a pearly white color and a solid black rim. The onlynits Icould pick on this figure is that the rim on the eyepieces are applied rather unevenly, and the red articulation pins on the inside of the arms can be too distracting at times, but none of these issues are beyond repair with a little patience and a steady pulse. 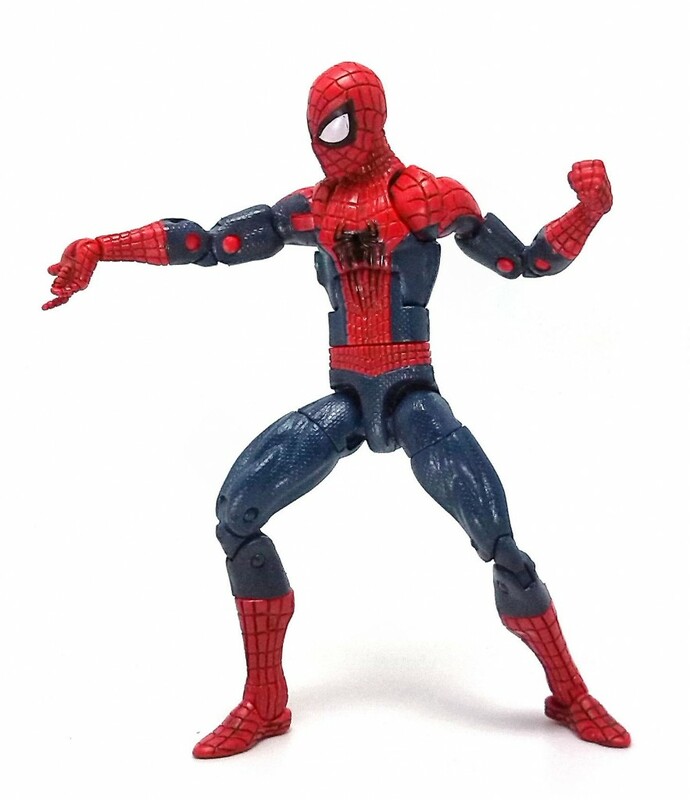 This version of Spider-Man comes with an additional pair of punchy hands, as well as a couple of pieces needed to build the Ultimate Goblin bonus figure. This time around the pieces included are the right arm and a translucent orange flame attachment for it. 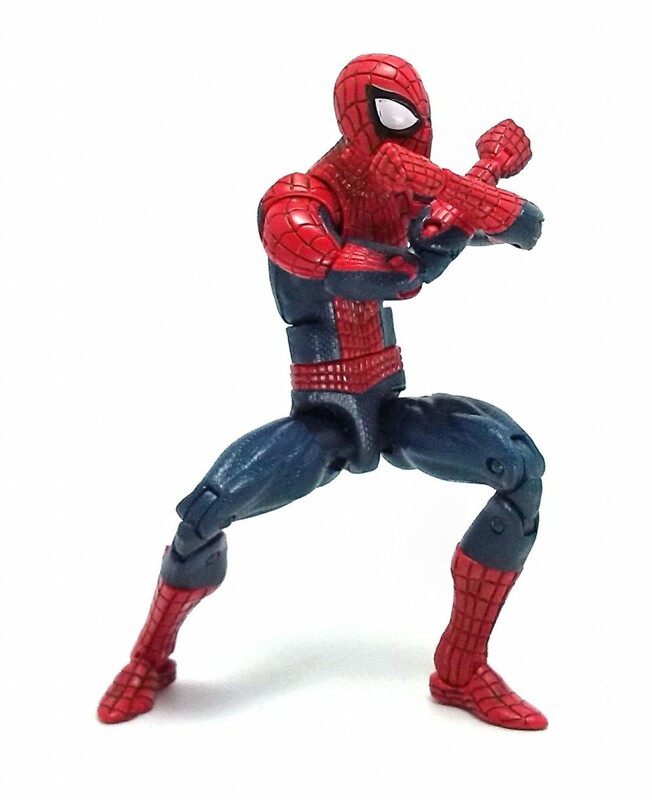 All things considered, I found this Amazing Spider-Man figure to be an all-around great interpretation of the wall-crawler.